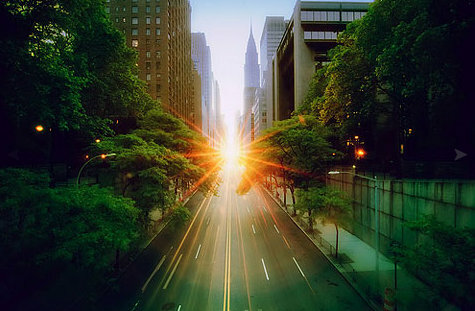 Twice a year an amazing natural phenomenom occurs in New York - the sun sets in perfect alignment with the grid of streets in the City. It just so happens that we will be treated to this awesome sight tonight at 8.17pm EDT. For instructions on where to best view it and more details on Manhattanhenge, click here.